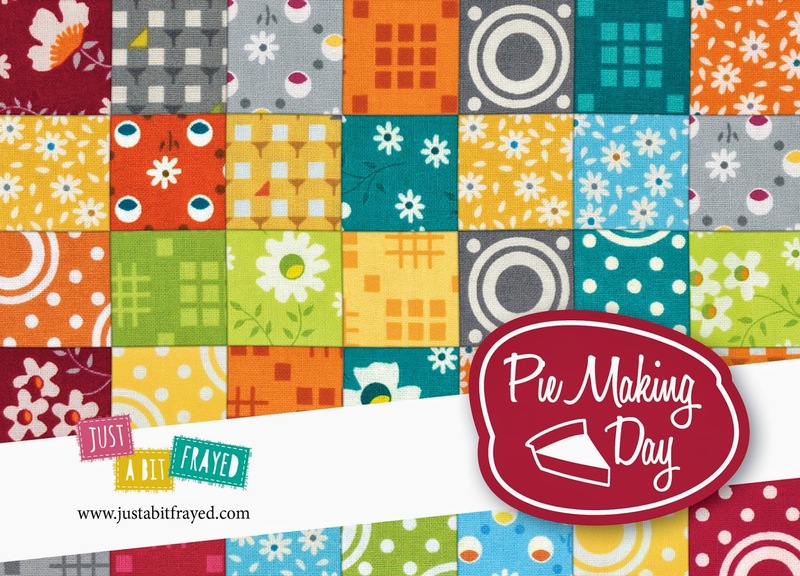 just a bit frayed: Pie Making Day! My very first fabric collection! 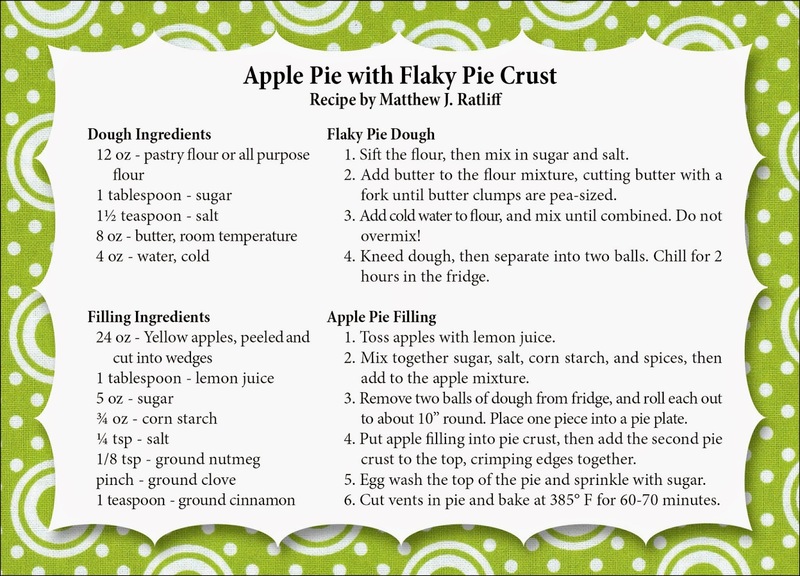 Pie Making Day! My very first fabric collection! Some of you may already be aware of this but I now am able to add "Fabric Designer" to my CV! I'm happy to start telling everyone about my very first fabric line! I've been working with RJR Fabrics for a few years now with their Cotton Supreme Solids collection and working on the Color Inspirations Club. And now I have a line of vintage inspired prints! 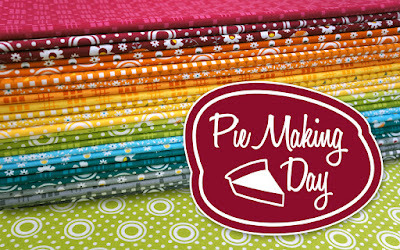 We have called the line Pie Making Day. It's inspired by fabrics from the 30s, 40s and 50s with an updated color palette. 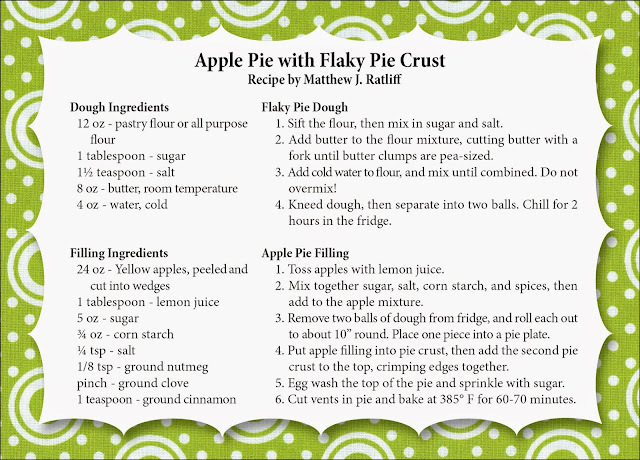 For me, making pies and eating with my family has always been a fun tradition. 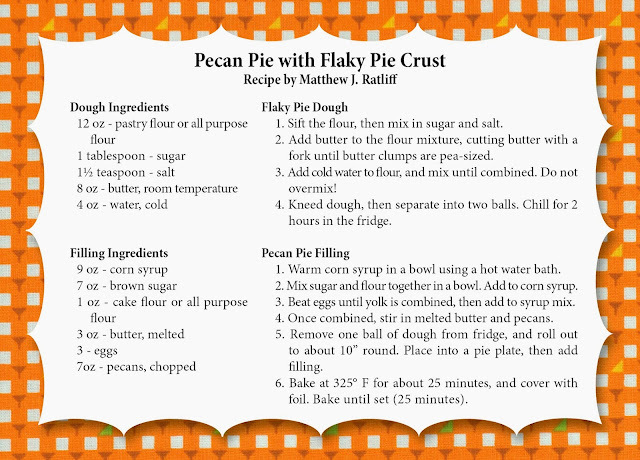 Now I'm always the one in charge of pie at Thanksgiving and picnics but I really learned from the best! My pies are nowhere near as perfect as my mom's though. Over the next few weeks I'm going to be showing you projects made with my collection and pictures from our booth at Quilt Market. The Pie Making Day collection is shipping to shops in July (just a few more weeks)! We have it on pre-order at Pink Castle Fabrics now. I'm very excited! Make sure to tell your local quilt shop that you like my line! They can contact their RJR representative or RJR directly Phone: (800) 422-5426 Email: info@rjrfabrics.com. My brother Matthew J Ratliff is an awesome pastry chef! He studied pastry at the Culinary Institute of America in New York and now works at a resort in West Palm Beach, FL. He has been on the Food Network Challenge three times and also on the show Sweet Genius! I'm really happy to share with you some pie recipes that he came up with to go along with my new line! Everything he makes is really great! I'm excited to try making these this summer! 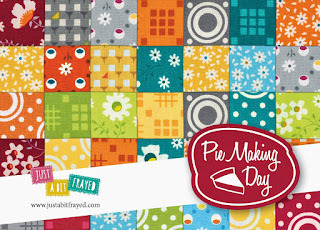 You've managed to combine two of my favorite things--pies and retro-looking fabrics--to create a fun collection I must simply have. Thanks for the sneak peek, Brenda, and thank your brother for the recipes!! I love your line Brenda and was lucky to have RJR send me samples ahead of time. 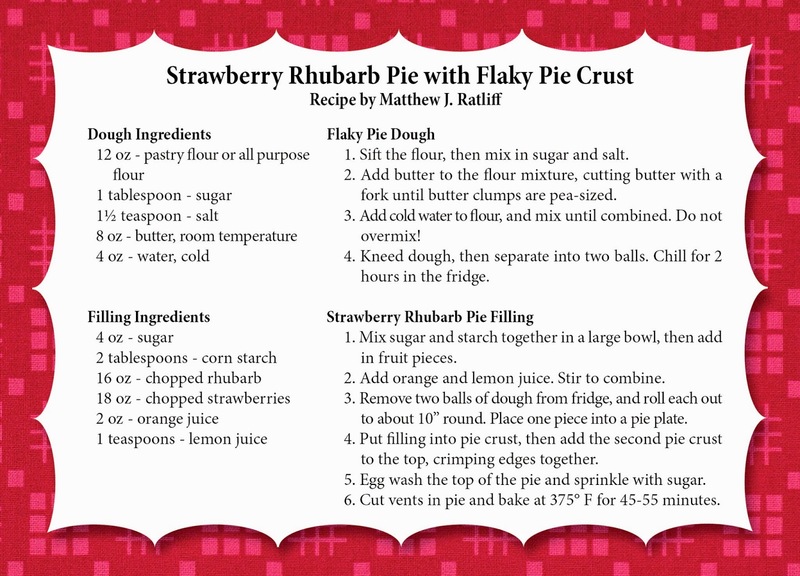 I just completed a piece that I plan to blog next week using Pie Making Day. Good job! I'm a bit late. I fell in love with this line when I saw it at my local shop. I'm in the process of making quilts for my neighbor's twin girls who will be celebrating their first birthday soon.